Red Bull has publicly apologised for shooting a commercial in which an athlete performed acrobatic stunts across Borobudur temple, an official said Thursday. The energy drink manufacturer issued an apology in national newspapers admitting it shot the video at the 9th-century temple “without permission from the appropriate authorities”. The video – in which a famous “free running” athlete is shown jumping between the temple’s stone stupas – triggered outrage in Indonesia. In one scene, the athlete is seen walking past a sign clearly stating “No Climbing” in both English and Indonesian before performing acrobatics throughout the UNESCO-listed heritage site. The video was shot secretly despite the crew having been issued a warning by temple guards, Borobudur Conservation Agency head Marsis Sutopo told AFP. “They must have shot again while our guards were not looking,” he said. 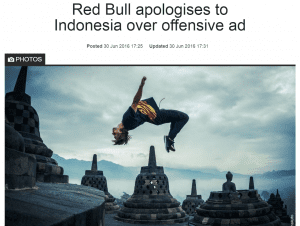 The video, uploaded online on March 18, sparked outrage within Indonesia and prompted the government to threaten a legal suit against Red Bull. Authorities later issued a warning to the drink company after determining no physical damage had been incurred. 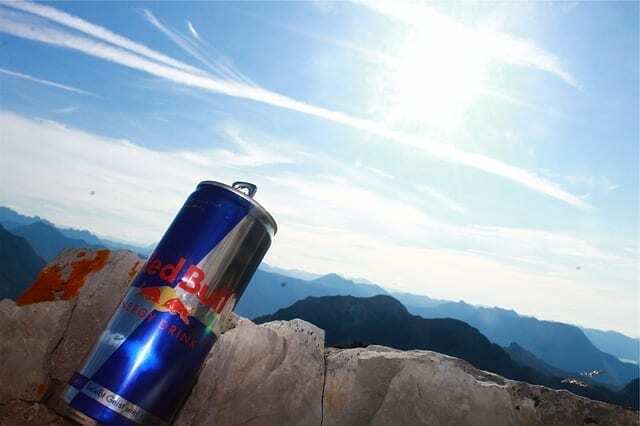 Red Bull met with government officials in early June and agreed to place formal apologies in national newspapers. “We want to set an example because we painstakingly try to conserve this historical site,” education ministry official Hilmar Farid told AFP. Red Bull have also been asked to shoot a new video explaining the importance of protecting holy sites, Farid added. This entry was posted in 新闻, 网络文章. Bookmark the permalink.